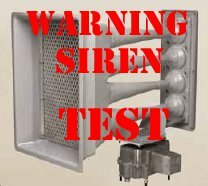 The outdoor emergency warning sirens in Nelsonville, The Plains and New Marshfield will be tested at 12 noon on Wednesday, November 4, 2015, with a one minute sounding of the sirens. Local residents are asked not to call local emergency agencies inquiring why the sirens are sounding. 1. DO NOT CALL 9-1-1 to ask why the sirens are sounding as this can overload the 9-1-1 emergency response system. 2. Remember, outdoor warning sirens are just that, out-door warning. The sirens are meant to be heard outside to signal you to go indoors and tune your radio or television station to the local Emergency Alert System (EAS) Station. As homes continue to become more energy efficient and sound proofing enhanced, outdoor warning sirens that once could be heard decades ago inside of a home can no longer be heard. That’s why other means of warning are in place. 3. Go immediately to a safe area in your home or building, if high winds, severe thunder and lightning are present. 4. If you are outside away from possible shelter, lie flat on the ground away from trees until the storm passes. If in a vehicle, get out and find a more substantial structure. 5. Carry a battery operated radio or NOAA all hazard alert radio to your safe area. You will know when the storm or emergency has passed and when it is clear to leave your safe area. 6. The Athens County SIRENS DO NOT identify specific types of storms or emergencies, therefore you should immediately seek shelter and tune to local television or radio for further information. This entry was posted in Uncategorized and tagged October 2015, Weather Advisory. Bookmark the permalink.